Two people were in the car and survived. They made a beeline out of there after an evacuation order said the basin above them might be overtopped. 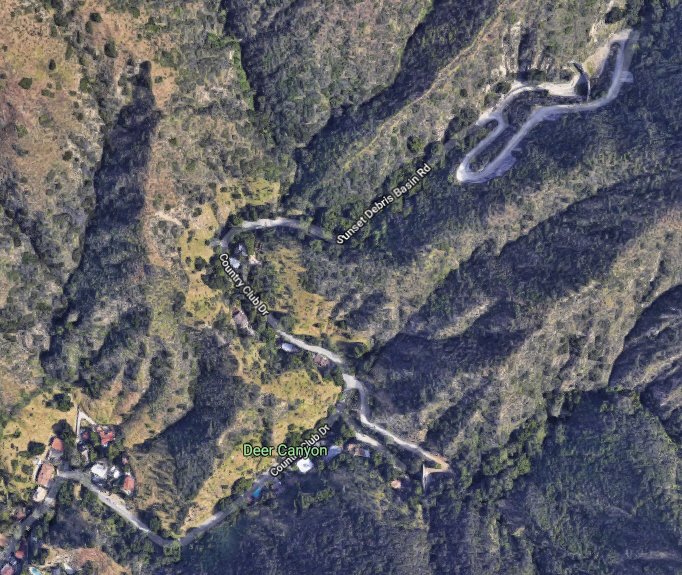 It was, and they hydroplaned with the debris flow down the hill, then regained control and went up another road to escape the flow. The debris basin that was inundated, Upper Sunset, is at the upper right. The car came down Country Club Drive, which emanates from the Sunset Debris Basin access road. 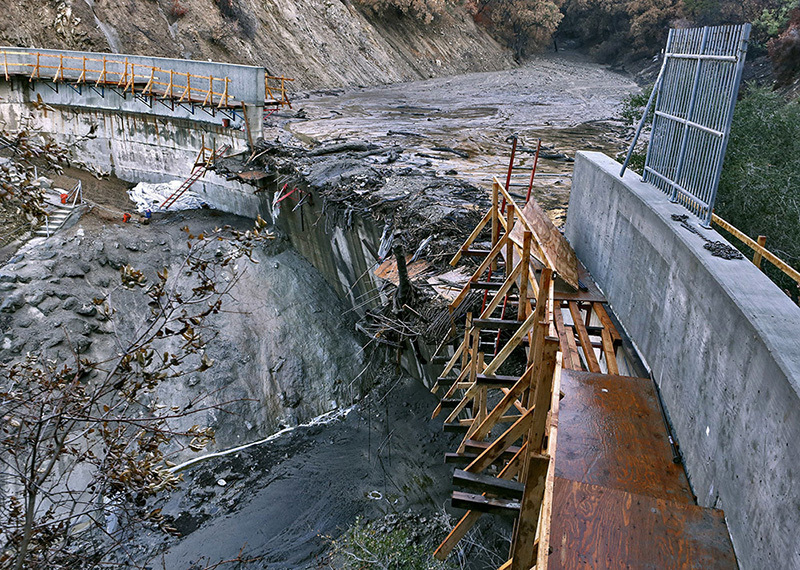 The debris basin after the landslide is below. The wall appears to have been breached but was not. There’s ongoing construction to raise the rim five feet to increase the capacity of the basin by 8,000 cubic yards – see the scaffolding – and that middle portion is not yet started. This entry was posted in Geology, Weather.